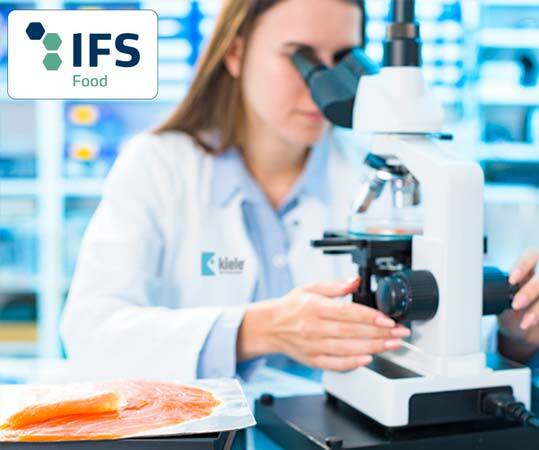 IFS Food is part of the Global Food Safety Initiative, which focuses on food safety and quality and is aimed at the companies that produce processed foods. It is a seal of quality for companies which, like Kiele, continuously work to achieve excellent quality. The IFS standard establishes regulations to control the hazards that may occur in the process of manufacturing and packaging food. It offers a guarantee that there is no risk of contamination in these processes. The many benefits of IFS certification include the continued monitoring and regulation of food-production practices and processes through certified audits. Undoubtedly, this offers consumers a trusted quality guarantee. In summary, IFS certification provides a direct means of offering our wide range of products to our clients, and allows us to officially demonstrate our compliance with the standards that are required for our activities. In every specialist gourmet shop, trusted supermarket and department store, the IFS quality seal is the most direct way to begin a commercial relationship with complete confidence and comprehensive food-safety guarantees.